Absolute Spa @ Fairmont Vancouver Airport is the perfect way to relax before boarding a flight or just for some rest and rejuvenation. Featuring 5 private treatment rooms, group manicure and pedicure area and 1 couple’s suite. Enjoy the view in our relaxation lounge while sipping a cup of tea.All spa guests have full access to the Fairmont Vancouver Airport’s health club (mechanized lap pool, saunas & state of the art fitness equipment) relaxation lounge & complimentary Youngblood mineral makeup consultation. 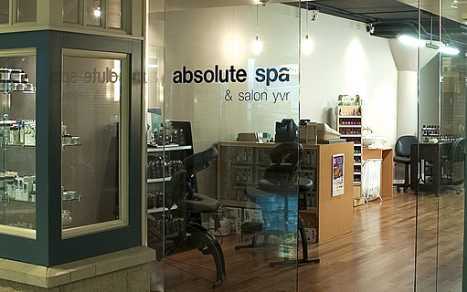 Vancouver Airport absolute spa @ YVR has 4 locations specializing in: anti-fatigue and jet lag treatments chair massage manicures, pedicures, waxing and facials.